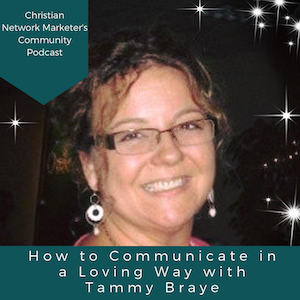 Today I have an interview with one of our community members, Tammy, and she is going to share how God has been working in her business. Here are some highlights of our conversation. Tasha: I have one of our community members, Tammy, with us today, and she is going to share with us how God has been working in her business. Tammy, take it away. Tammy: Thank you, Tasha, for having me. I am so honored to be here to talk to you about this, because it is near and dear to my heart how God is working in me and this business. I was thinking about it this morning, and the number one way that God has been working in my business is that He is working in me. The person He is helping me become is totally different than the person I started out being. While He is showing me how to help people, He is working on my heart in a way that I would have never expected and make an impact and witness for Him. He is showing me how to do things with authenticity and integrity, which is a huge goal for me. Tasha: You mentioned that you had an idea of what it meant to help people, and God has lead you on a path of the unexpected. So what was your initial idea of what it meant to help people? And how has that changed? Or how has God changed that in you? Tammy: There is, of course, going on mission trips, or telling and sharing about Christ with people that you meet. But I never felt called to go on mission trips; I felt called to support missionaries. But I felt there is more, there has to be more. When He led me to this business, it was a clear call that this was the avenue, like, “Oh! Oh, ok. God is full of surprises!” It was clear and direct, and it is what keeps me going whenever things feel like things are never going to come to fruition. I don’t meet too many people that are wired like that, so that is why I smirked. To know that God has called each of us in a different way to fulfill His mission…It is not one-size-fits-all. Not all of us are called to missions trips, not everyone is called to network marketing to fulfill God’s kingdom, He has made us for this role, and we need a bunch of types of roles to make it all fit together. Do you have one example or story of how you found yourself helping someone that was clearly God-appointed? I know it may be hard to think of just one. Tammy: There are a lot including helping people overcome the things that are stopping them in terms of mindset, heart strings attached to things from childhood, not being able to let go…It is amazing what coaching has done to help me talk to people in ways that are not confrontational or judgmental. Being able to communicate is what it is all about. Just helping people see that where they are at isn’t where they have to stay. Obviously, God’s grace, number one, is what brings us out of these terrible places that we have all been as humans. I know that is not one example, but I have people that have a really hard time attracting. They tend to attract people like themselves, and then they are frustrated :). Tasha: What I wrote down is what God has been working in you is to help you communicate in a way that is loving. What are phrases you use or questions you ask that help you communicate in a way that is more loving? For example, let’s say I am one of your friends and my kids are super sick. How would you communicate with me in a way that is loving rather than judgmental? Tammy: Obviously, I’m going to talk to you about oils, since that is the product I sell, and I would start out with how when my kids were little and how awful it was when they were sick. Been there, done that. I wouldn’t talk about how you are loading them down with toxic chemicals, because we are all doing the best we can. So what I do say to people are the oils, and how I wish I had known about the oils back then. So if you are interested, I would really like to talk to you about them. And if you are not, it is ok. I keep acting like Switzerland, that this is a choice you get to make. Yes, I sell essential oils, but whether or not you buy them is up to you. I just keep it very simple. Tasha: The key phrase I wrote down is “I wish I knew about these earlier.” I love that because we look at sales as an opportunity to equip people with a solution that can remove suffering they may be experiencing. Around the 11 minute mark, Tasha goes back what Tammy mentioned regarding team members who attract people like themselves. Our natural reaction would be to shake them and encourage them in an unloving way. Tasha asks Tammy to talk about how she would go about communicating to a team member like this in a loving and non-judgmental way. You’ll definitely want to watch the interview on how she handles her team who struggle with this. Thanks for reading today’s highlights. Be sure to check out the entire conversation below. Then join us in our Facebook group to continue the conversation and share how God is working in your business.